Wisconsin Dells also known as “Wis Dells” or ‘The Dells” is a small city located in southern Wisconsin and has been a famous Midwestern tourist destination since the 1850’s. 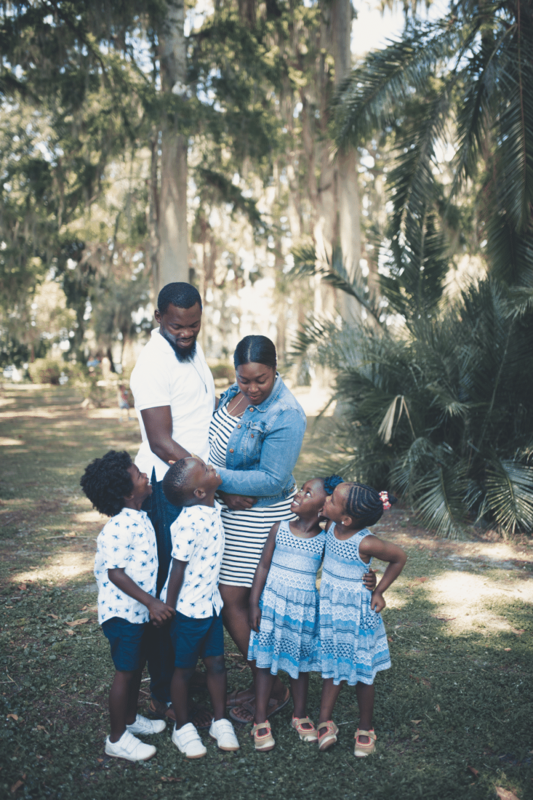 The city is a family-friendly destination with lots of great resorts, waterparks, golf courses, lakes, zip-lining and many other fun activities for families to enjoy. Most of all, Wisconsin Dells is known as the waterpark capital of the USA. The best time to travel to Wisconsin Dells is in the summer as you will get to experience all the awesome and numerous outdoor activities that the Dells has to offer. Most of the popular water-parks run from May to September as well as most of the restaurants are open during that time also. 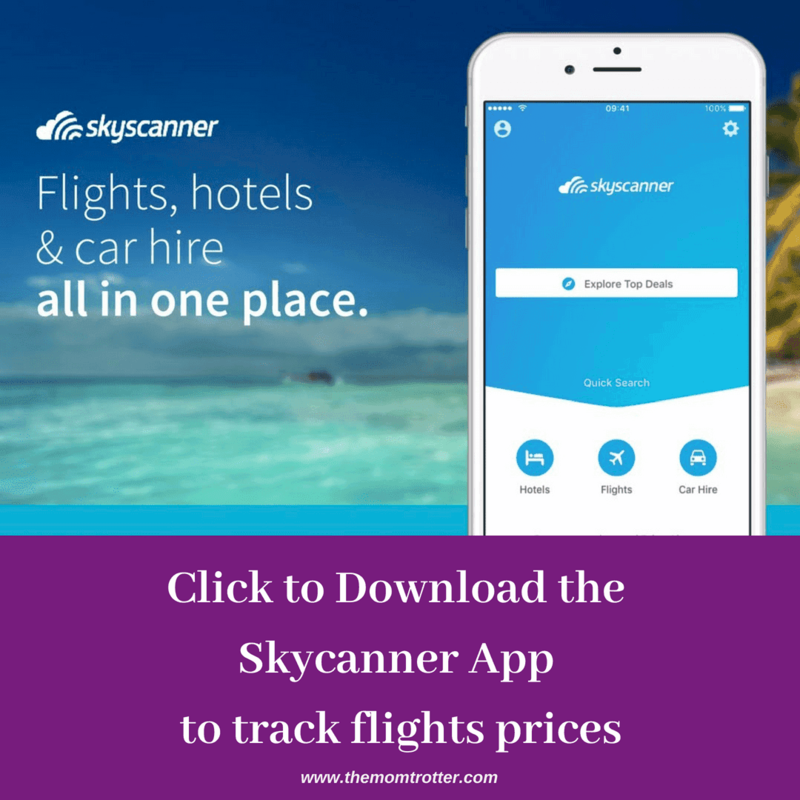 If you are on a budget and you want to avoid summer crowds, the best time to come is during the fall and winter time when airfare and hotel rates are much lower than other seasons. 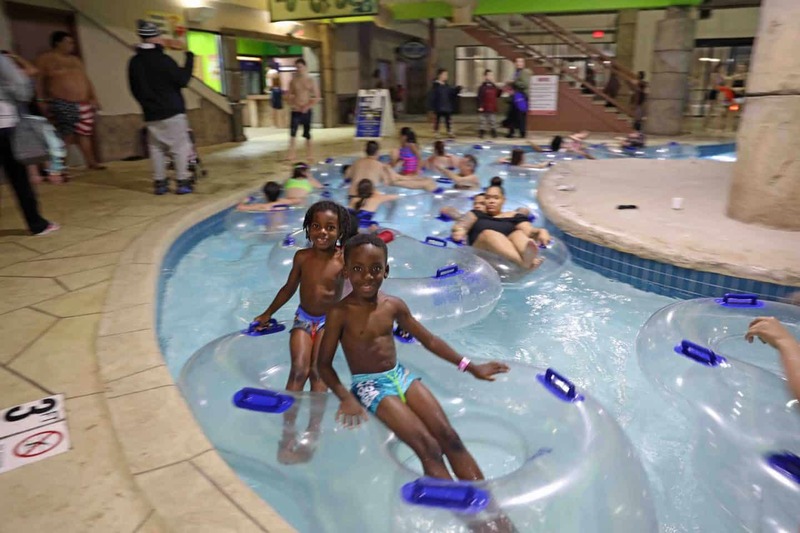 We traveled to Wisconsin Dells in the winter and although it was Freezing – temperatures below zero, we were still able to enjoy several indoor water-parks and indoor activities. Although summer is the best time to visit Wisconsin Dells, you’ll have fun anytime you travel there. You can fly, take the Greyhound, Amtrak train or drive to Wisconsin Dells. The travel time will vary depending on your starting point. While planning our trip to Chicago, I realized that Wisconsin Dells was just a short 3-hour drive, 3.5hr Amtrak train ride, or 4hr Greyhound bus ride from Chicago so I figured why not add on another state while at it. 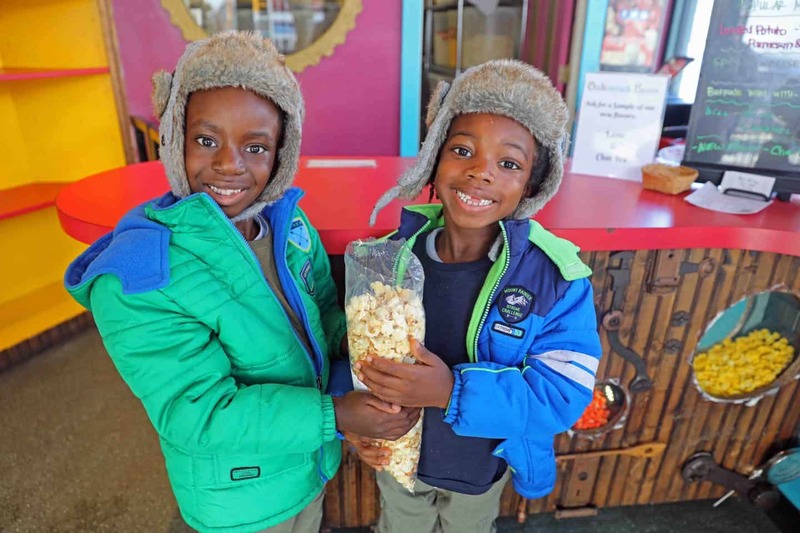 The kids want to visit every U.S. State, and we are making it a goal to visit a new state each month this year. We flew to Chicago from Palm Springs on United Airlines. We spent 5 days in Chicago and then took the Greyhound bus to Wisconsin Dells. We spent 4 days in Wisconsin Dells and then took the Amtrak train back to Chicago, and then flew from Chicago to Palm Springs on Frontier Airlines for $20. 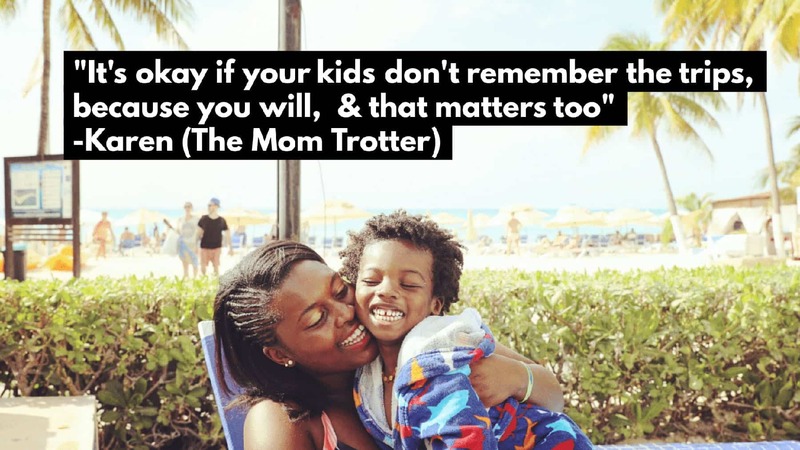 PS: Did you know that Kids Fly Free on Frontier Airlines starting February 2019? I packed very light because we flew Frontier Airlines and they charge a fee for carry on and checked luggage which I wanted to avoid. I packed our clothes in packing cubes and then but the packing cubes in our Osprey backpacks. Easy Peasy! Taxi: This is a perfect option to travel from one site to another while in the city but you will have to pay $2-meter drop charge. Uber/Lyft: Both Uber & Lyft are available in Dells and you can easily book a ride using the mobile app. I usually check both and use the app to book the cheaper one. Rental Car: If you plan to rent a car while in Wisconsin Dells, you can easily rent one from the numerous car rental companies stationed in the airport. Renting a car will also give you the chance to easily get around Wisconsin Dells. Public Transportation: If you want to travel around Dells, you don’t really need to use the local public transport system as most of the resorts and attractions are located around Wisconsin Dells Parkway. Many resorts also make shuttle buses available for tourists. I thought about renting a car to make our time in Wisconsin Dells in the Winter easier, however it was very cold and snowy during our stay and I didn’t want to bother with driving. We used Uber and Lyft to get around with no issues. I didn’t want to lug car seats up and down so I packed the kids Mifold. 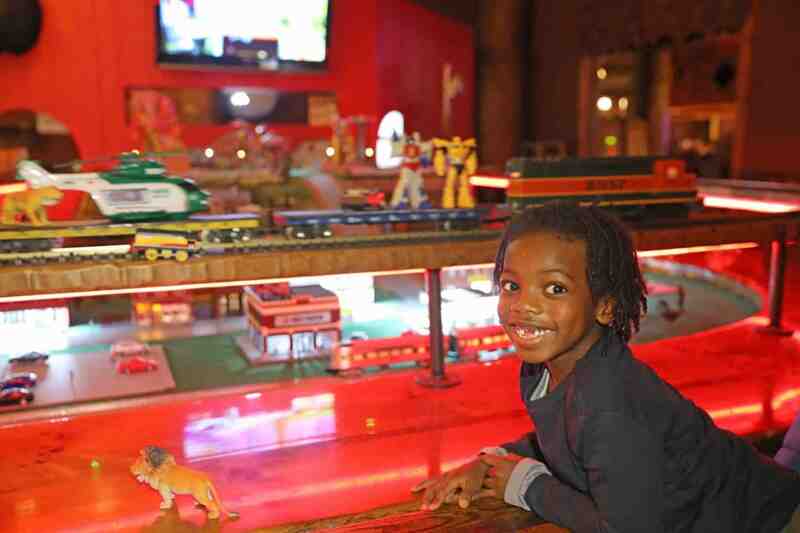 There are numerous family-friendly hotels and resorts in Wisconsin Dells. Most of these resorts and hotels are filled with family friendly activities, arcades, water parks and more. We stayed at the Best Western. I booked this hotel on Hotels.com for $50/N for 4 nights total. They offer free breakfast which was a catch for me. 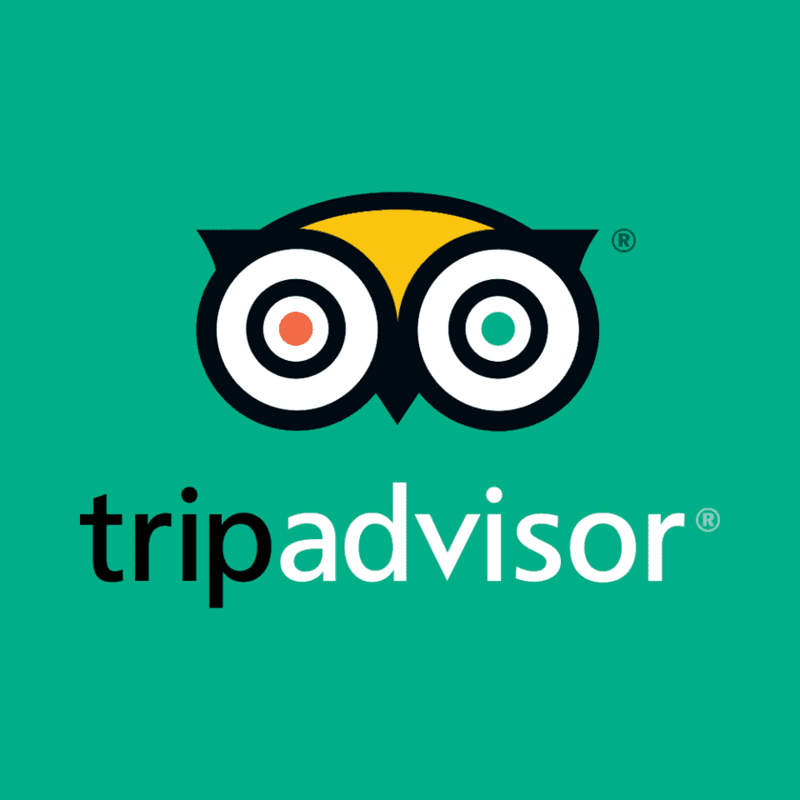 My overall experience here was great and I’l definitely stay there again. This hotel offers free entry into Noah’s Ark to anyone staying there. Noah’s Ark is one of the most popular waterparks in Wisconsin Dells. This is great because you don’t have to stay at a fancy hotel with a water park in order to have fun in Wisconsin Dells. 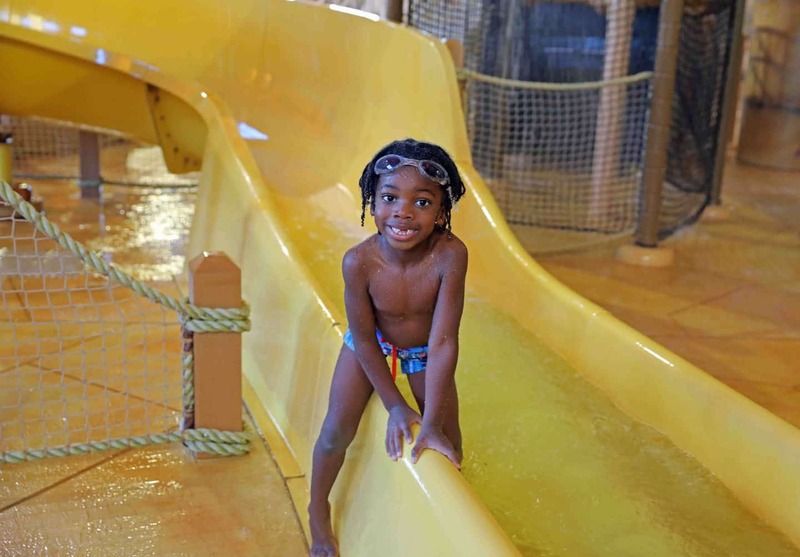 Wilderness on the Lake – This hotel is located in a serene environment and it features numerous indoor and outdoor water parks, zip lines, mini-golf, arcades, laser tags, and so on which will keep you and your kids busy. The hotel also has a private beach and an infinity pool. Wisconsin Dells can get very cold in the winter, so sticking to indoor activities is recommended. If you do visit Wisconsin Dells for outdoor winter activities then make sure to dress appropriately. In the winter you can enjoy winter activities such as skiing, tubing etc. The kids were so excited with all the arcade games and indoor play areas so we made sure to only do indoor activities. 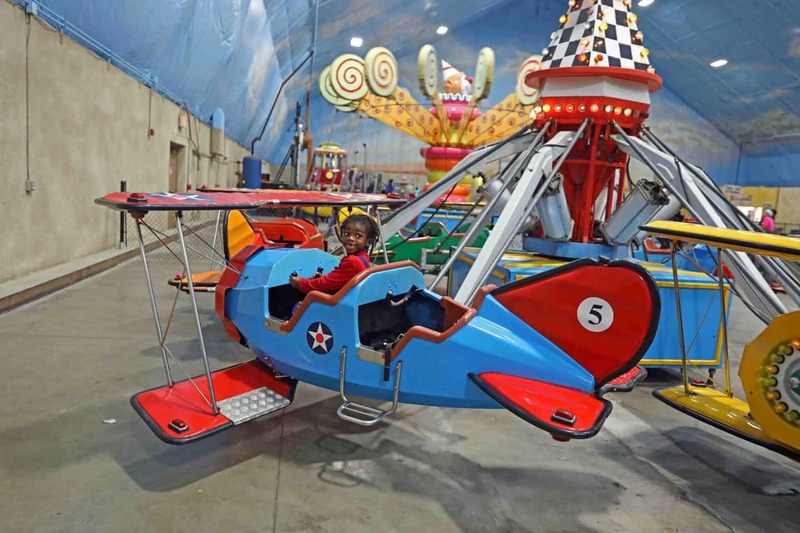 We were provided with a media pass by the Wisconsin Dells tourism bureau which allowed us to able to enjoy the indoor attractions listed below. 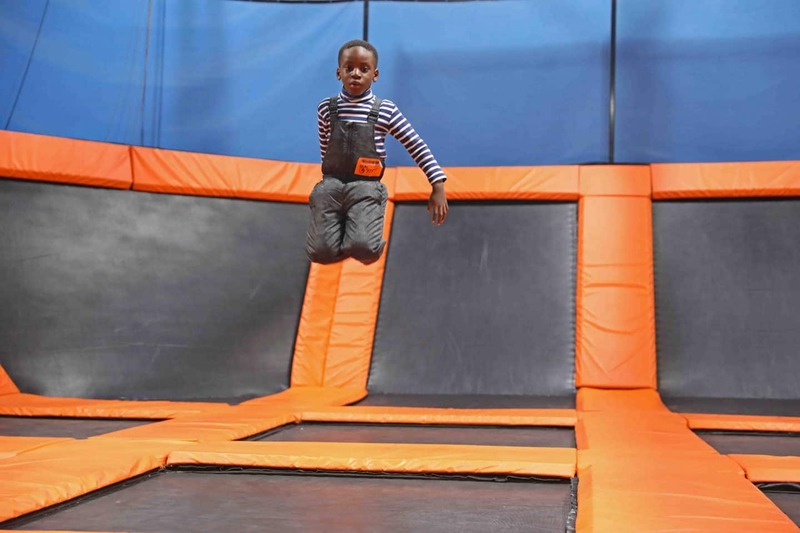 Knuckleheads – There is so much to do in Knuckleheads such as trampoline, arcade games, bowling, rides and more. We spent a full day here and the kids were not ready to leave when they closed. I had to drag them out. This place is amazing! Ripley’s Believe It Or Not – One of the boys thought this place was a bit scary, while the other liked everything in there. If you have young children who may get scared of an enclosed space with low lighting, do keep this in mind before visiting. Chula Vista Resort – The kids loved this water park. They got on the rides and swam in the lazy river and then ended their day by hanging out in the hot tub. 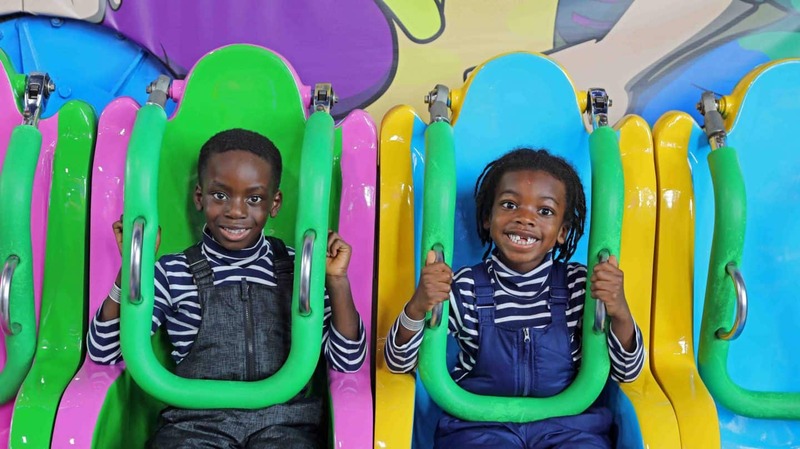 Tom Foolery’s – This indoor theme park is connected to Kalahari Resort. So if you’re staying at Kalahari, you’ll be able to walk over from your room to play. So much to do here with kids also. Their favorite was the zip line. Mt Olympus Theme & Water Park – This is a theme and water park with lots of arcade games, activities and even a fun lazy river your kids will enjoy. The theme and water park are in 2 different buildings with a short walk in between. We did the theme park first before heading to the water park. There are so many things to do in Wisconsin Dells that we would need to stay there for weeks to do it all. It’s always nice not to be able to do it all on one single trip so that you’ll have the opportunity to visit again. For a complete list, visit Wisconsin Dells. Wisconsin Deer Park – This is a family favorite attraction in Wisconsin Dells that you don’t want to miss. This is an interactive park with lots of wooded trails and feeding area where you can get a close encounter with the deer and some other animals like bison, elk, etc. Original Wisconsin Ducks Boat Tour – This is a magnificent way to explore Dells as you will get to spend half of your tour in the river and the remaining on land. Big Foot Zipline Tours: If you are looking for a thrilling adventure, then this tour is for you and the highlight is that you get to see magnificent aerial views of Dells. The Palace Theater in the Dells: This is a unique way to spend your evening with your kids while you enjoy Disney classics or a performance here. 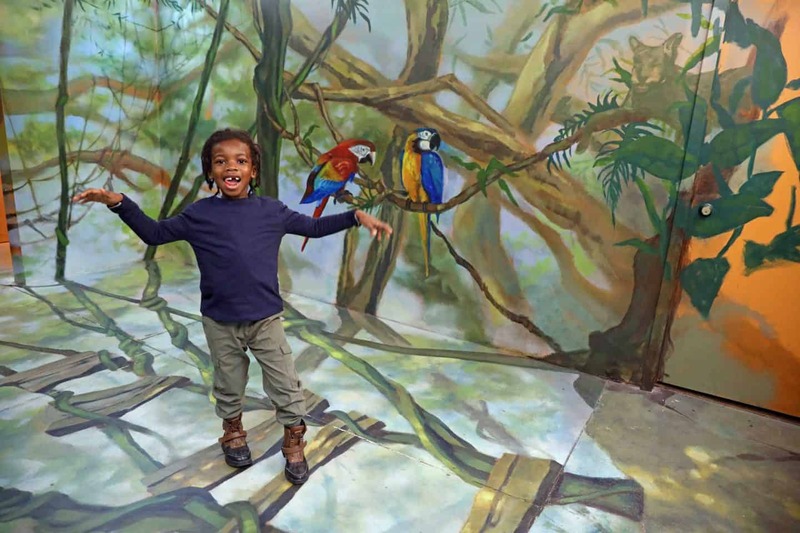 Timber Falls Adventure Golf: this attraction is filled with family-friendly activities from mini-golf course to nerve-wracking rides to picnic pavilion to relax with your family. River Walk: unique outdoor adventure in Wisconsin Dells while you enjoy the mesmerizing views of the Wisconsin River by foot. Lost Canyon Tours: this is a magnificent outdoor activity that you should try out as you will get to see areas that have not been touched by sunlight and it is a perfect place to take group photos with your family. Rick Wilcox Magic Theater: this is a popular indoor theater attraction that you should not miss. It is a family-friendly show where you will get to enjoy illusion show, comedy, live entertainment. There are many restaurants in Wisconsin Dells and I don’t think you can go wrong. 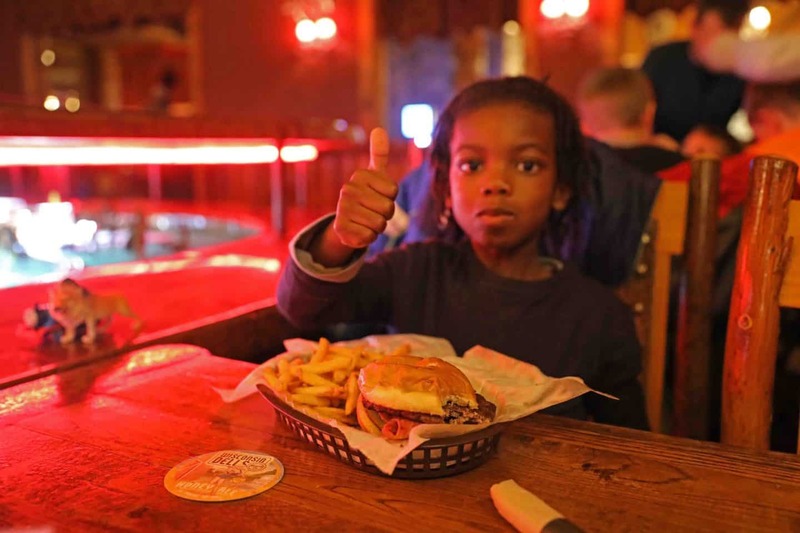 Most of the restaurants are family friendly and have a children’s menu. 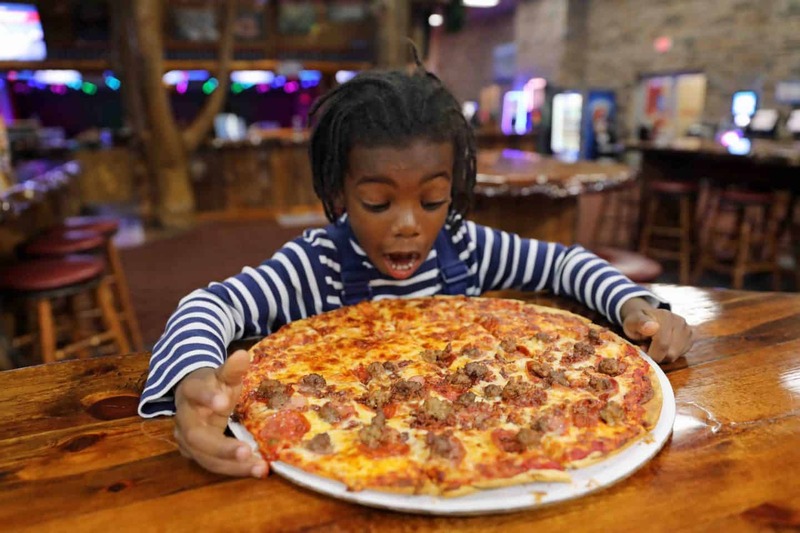 Buffalo Phil’s – Hands down the kids and I’s favorite restaurant in Wisconsin Dells. The kids were amazed by the fact that a train served them their food and drinks instead of a waiter/waitress. This was just as entertaining for me as well. Not only is it very entertaining, but they also have a great menu with a variety of items and we all enjoyed our meal. Do not visit Wisconsin Dells without eating here! Knucklehead’s – Knuckleheads is an indoor arcade and theme park and a restaurant as well. We order a pizza, half meat and half cheese and the kids went crazy over it. I am not the biggest fan on pizza, but I was shocked by the thin crust pizza we ordered. It was SO good!!! 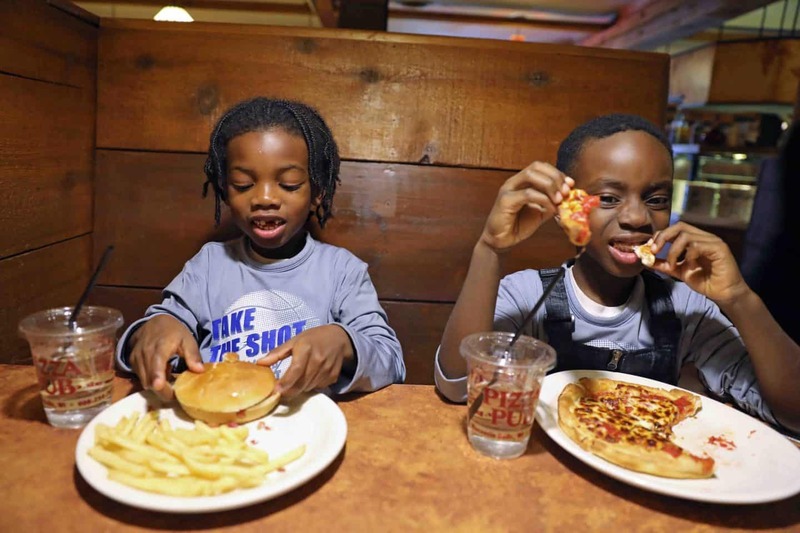 Pizza Pub – The kids enjoyed their meal here too, and especially the desert. Oodlesmack Popcorn – This popcorn shop makes gourmet popcorn in over 30 flavors. Best part, samples are free! 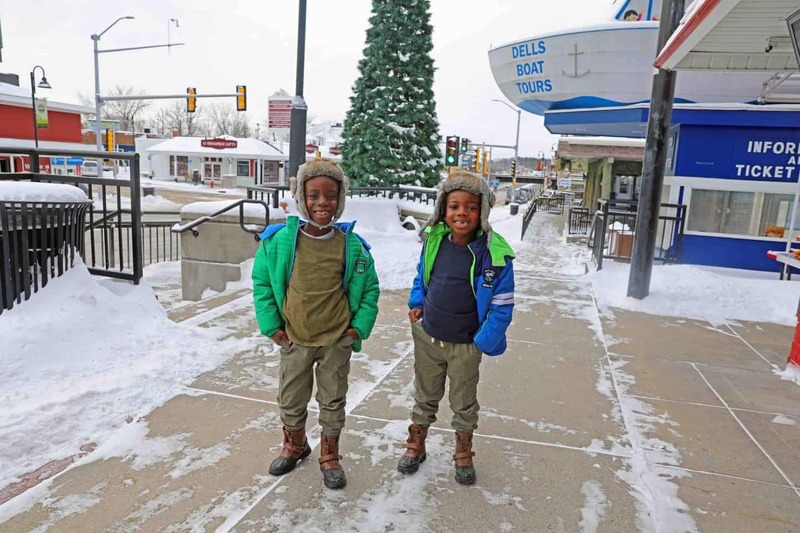 Dress Warm – Wisconsin Dells in the Winter can be extremely cold. Temperatures dropped to -20 while we were there and it was so cold and snowy. So be safe, and pack warm clothes, especially a snow suit for the kids. 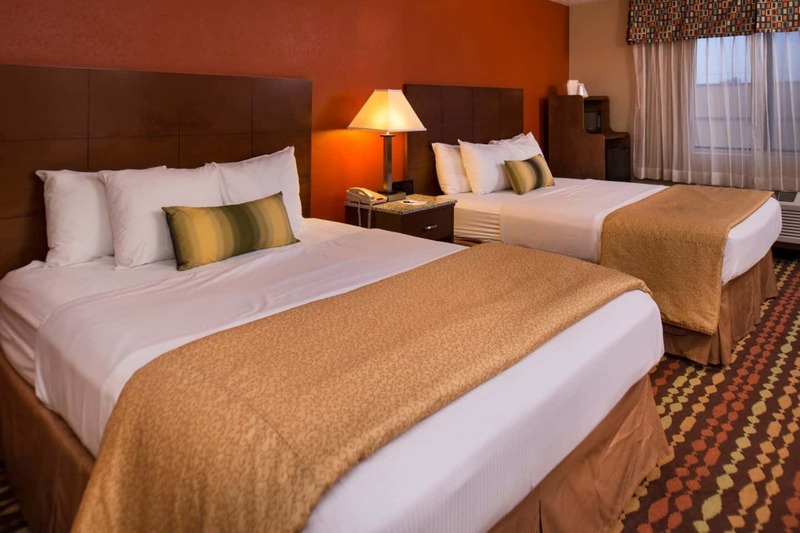 Make reservations in advance and search for special offers – Wisconsin Dells gets booked up pretty fast, so you should try to make reservations early especially if you are visiting on a weekend. 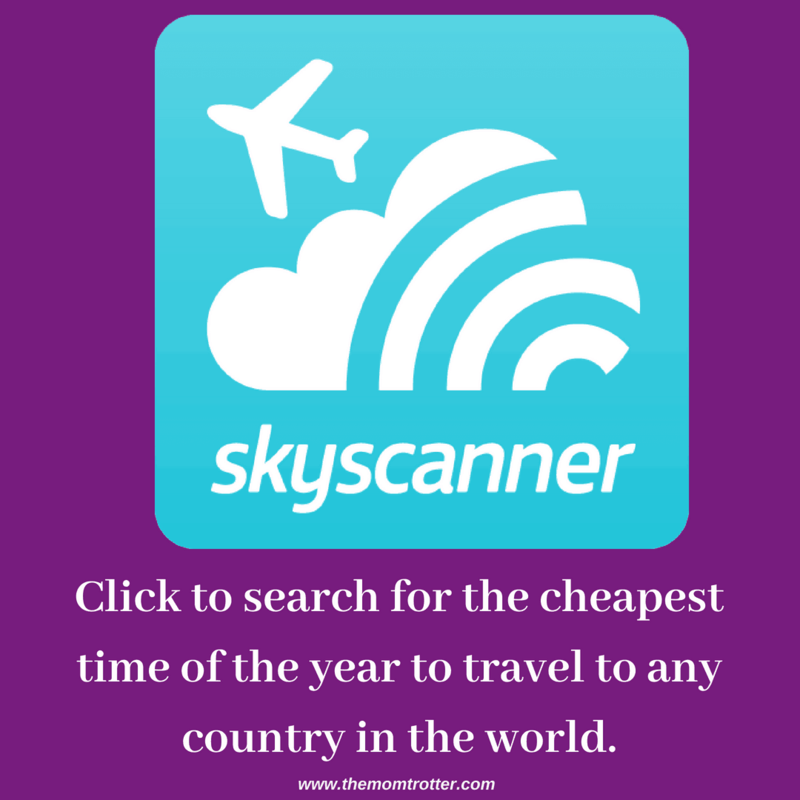 You should also look for special offers most resorts and hotels usually run deals. Pack comfortable walking shoes – Wisconsin Dells has many attractions which are nearby and you can easily walk from one attraction. This means that you need comfortable walking shoes while exploring the city or while hiking the stunning state parks. 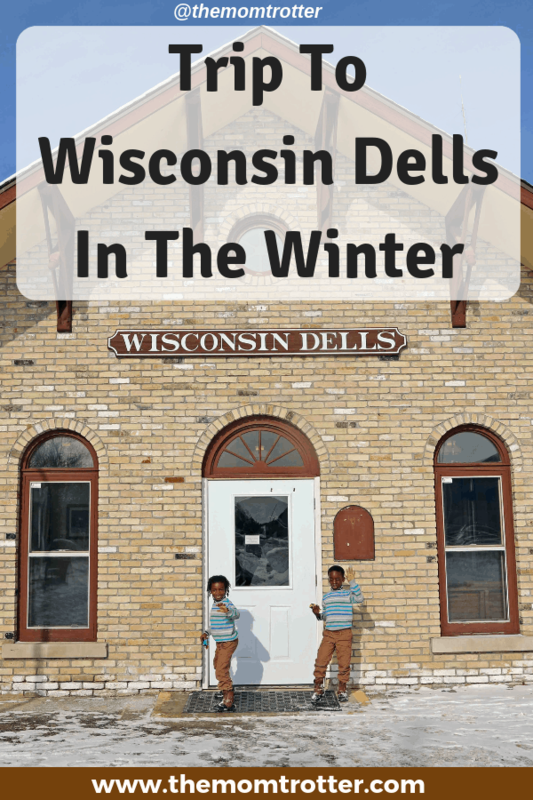 We spent a total of 4 nights in Wisconsin Dells in the Winter. In my humble opinion, Wisconsin Dells is an expensive place to visit. We were lucky to have a media pass; however, a top resort here runs about $150-$300/night depending on the room, arcades can run up to $100 per day, wrist bands for rides about $30 per person. Meals per family, about $50 at each meal. As you can see things can get expensive quite fast. Stay at a cheaper hotel like Best Western which doesn’t have a water park, but provides free entry passes for Noah’s Ark. Stay at a hotel or rental property with a kitchen so that you can cook some meals and avoid eating out. Make sure to budget wisely how much you plan to spend each day. Arcade token go very quickly. Set a certain amount and let your kids know so that they don’t keep asking you to purchase more arcade tokens. 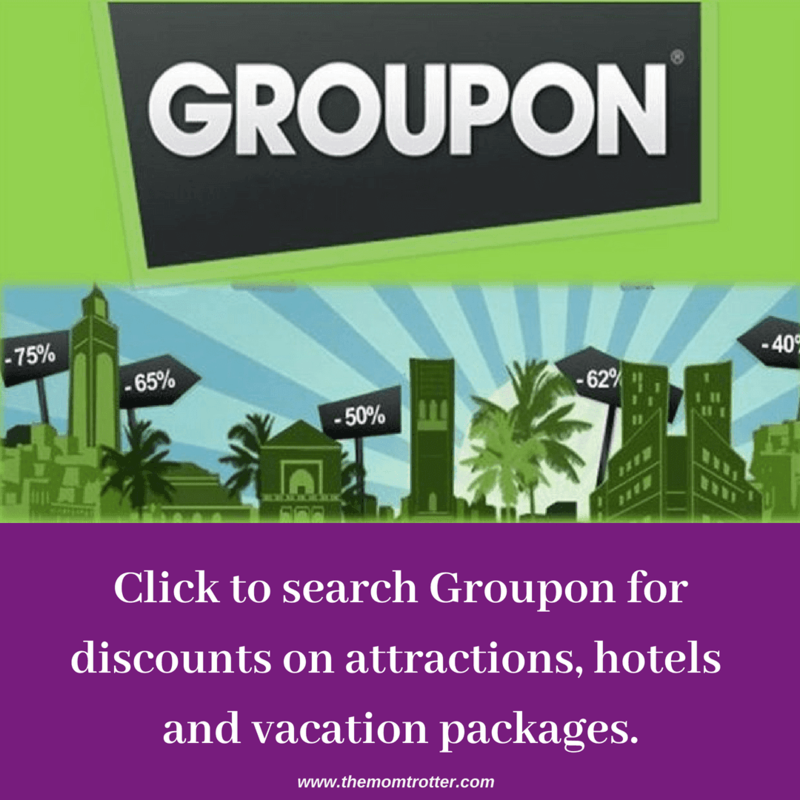 Check Groupon for deals, I saw big name resorts like Kalahari on Groupon for under $200 which I quite rare. Groupon also has deals for other things to do in Wisconsin Dells. Choose a hotel that offers free breakfast. This will save you money. We stayed at the Best Western which has free breakfast. The kids enjoyed waffles for breakfast and I didn’t have to spend any extra money.